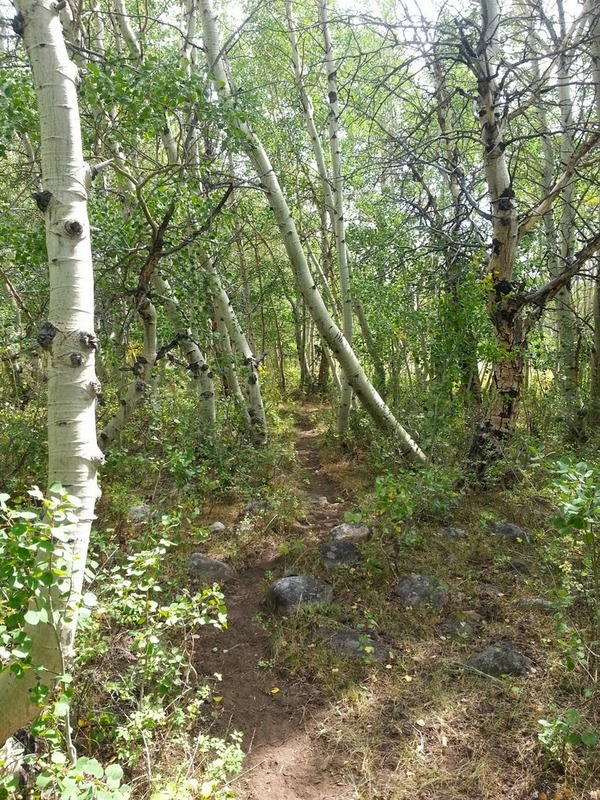 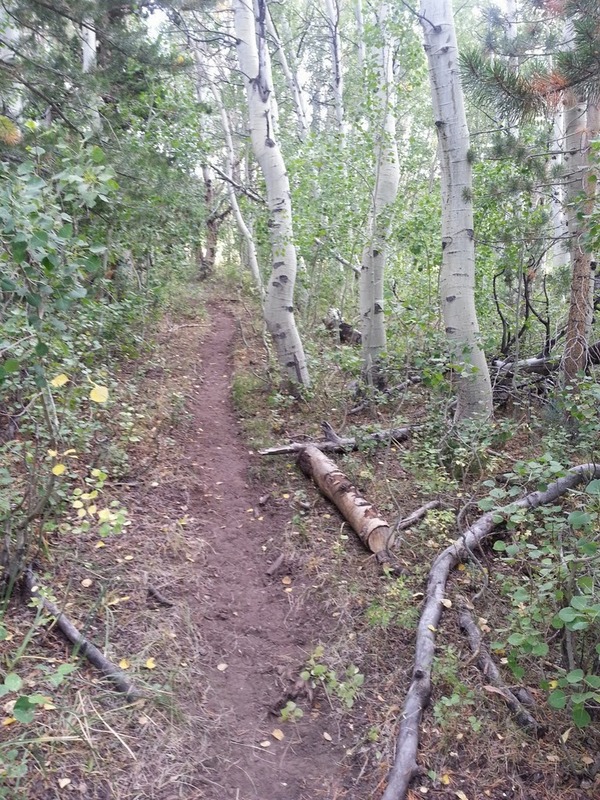 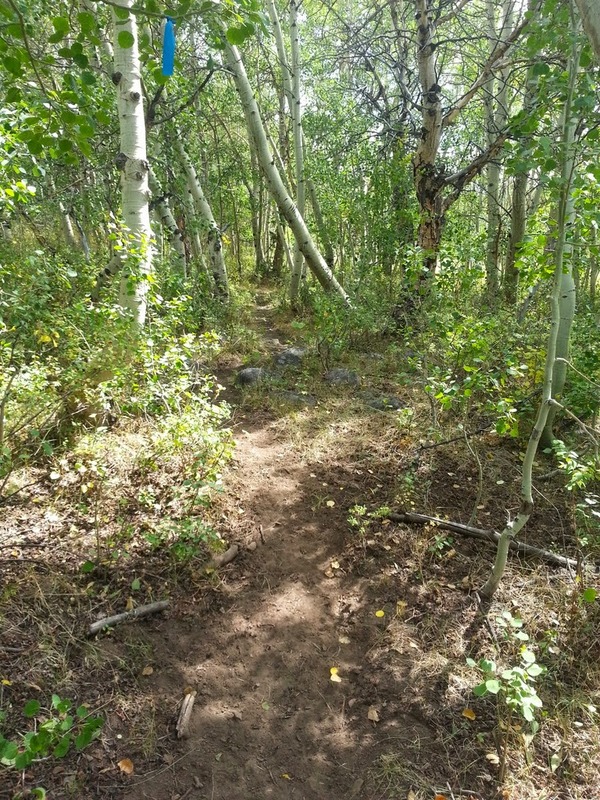 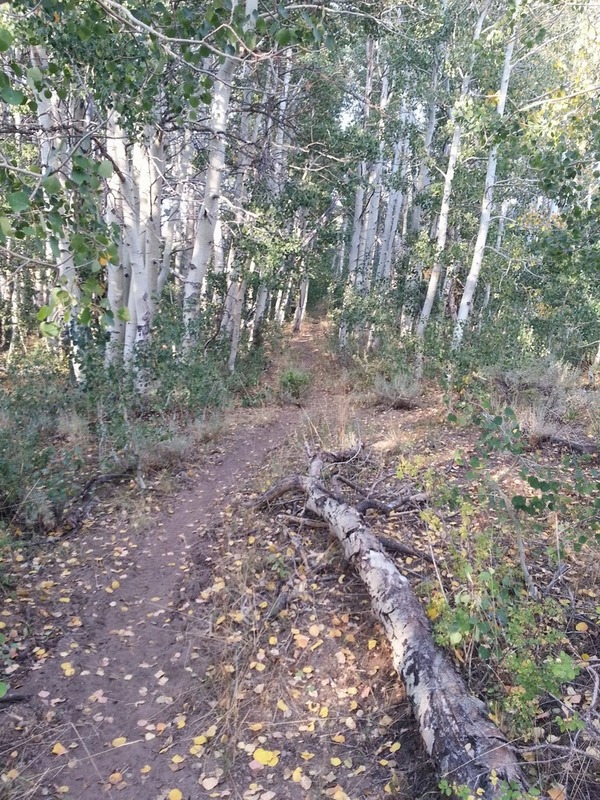 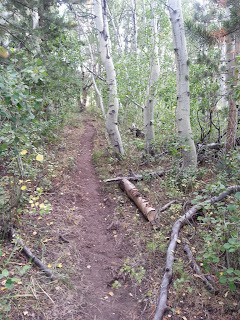 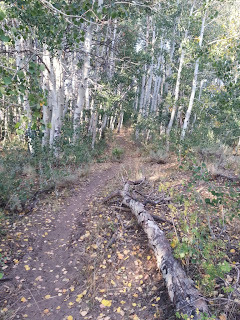 About a month ago, we heard there was some critical trail work done on the Molybdenite Creek to Long Valley Trail area near the Little Walker River in the Bridgeport/Sonora Pass area. 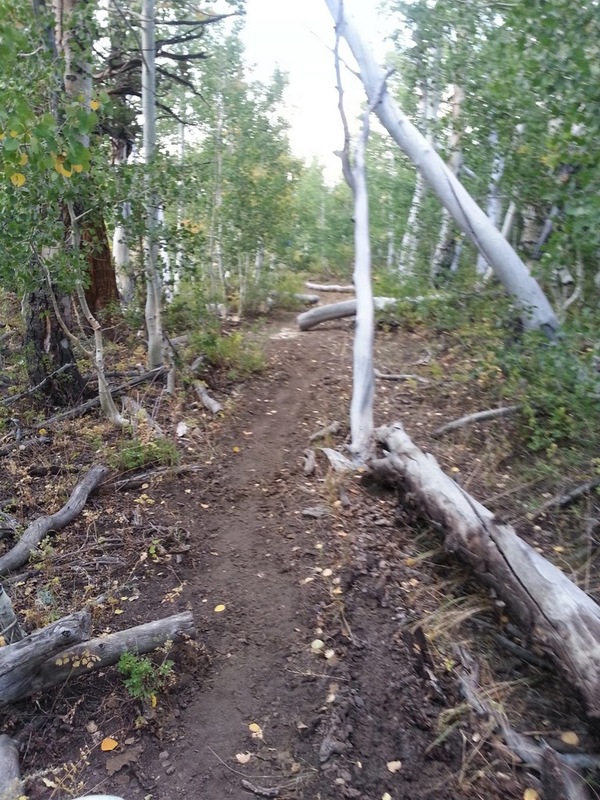 The fading singletrack on the Long Valley side is seeing some more use. 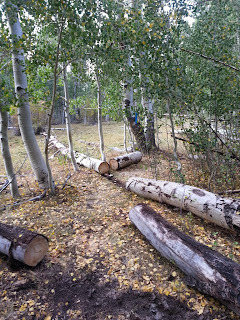 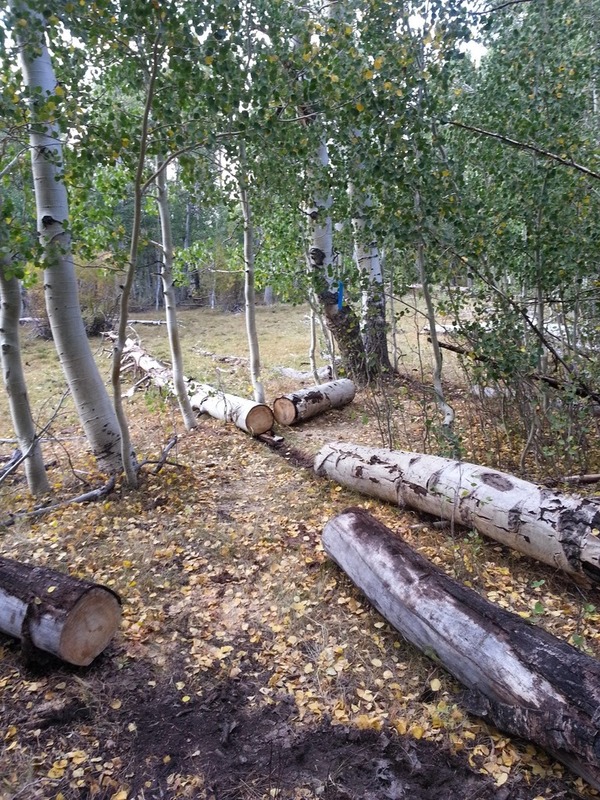 The aspen section of trail had all of the downed logs sawed or moved. 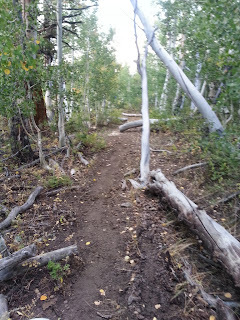 This is one of the most fun parts of the ride. 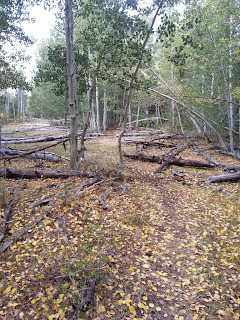 Right NOW should be the perfect time to go rip through the fall colors! 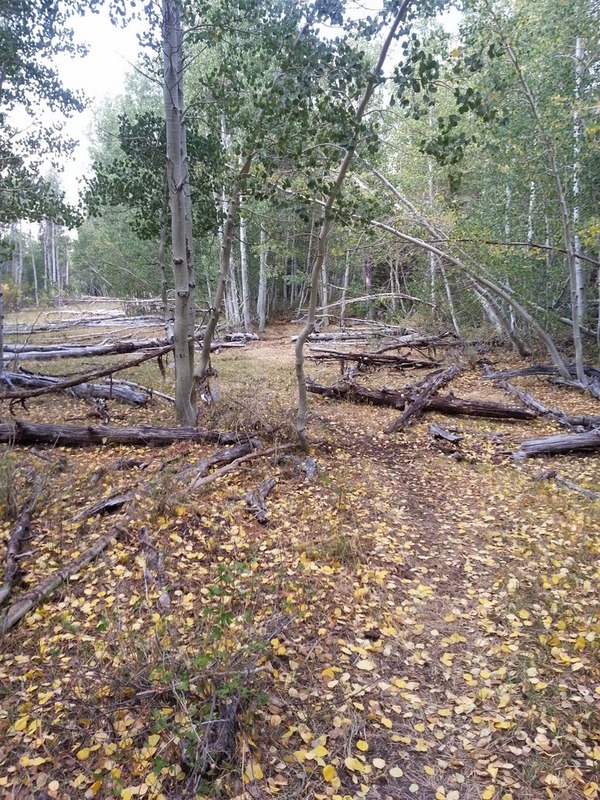 As for the most current conditions; we're not sure. 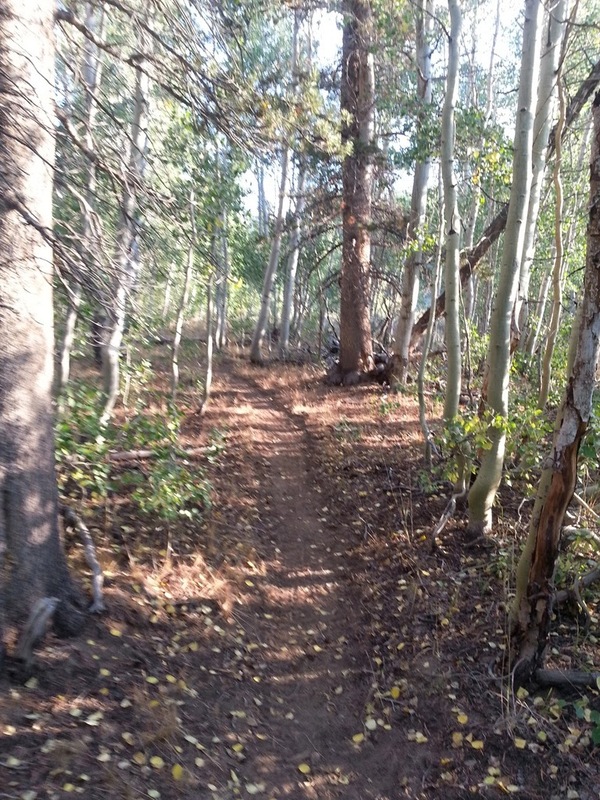 Let us know if you've been up or heard anything. For more information on the rides up there, check out: Mountain Biking Mammoth & the Eastern Sierra. 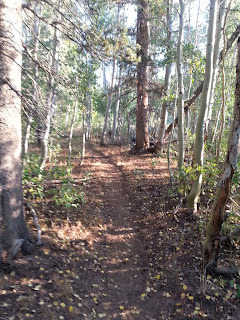 Biking in the forest is just one of the loveliest activities ever.